Vicky R. Minneti was born on a blistering cold day January 7th, in Racine, Wisconsin. She attended St. John Nepomuk Grade School, St Catherine's High School and entered the University of Wisconsin - Parkside. She traveled to Oceanside, California and enlisted into the United States Marine Corps. During her incredible 20 year career in the Corps, Vicky became an expert not only at mastering the M16A2 service rifle and the 9mm revolver, but at her career occupational specialty, Procurement. While in the Marine Corps, Vicky applied for the Staff Non-Commissioned Officer's Degree Completion Program. She was selected for the program along with only 55 other Marines that year. She completed her Psychology Degree at San Diego State University. Vicky or "Gunnery Sergeant" Minneti as they respectfully addressed her, was a decorated Marine; achieving the highest peace time medal, the Defense Meritorious Services Award for her efforts in El Paso, TX in operational support of the President's War on Drugs "Counter- Narcotics" Task Force team. Her big boss at the time was then Joints Chief of Staff, Collin Powell. 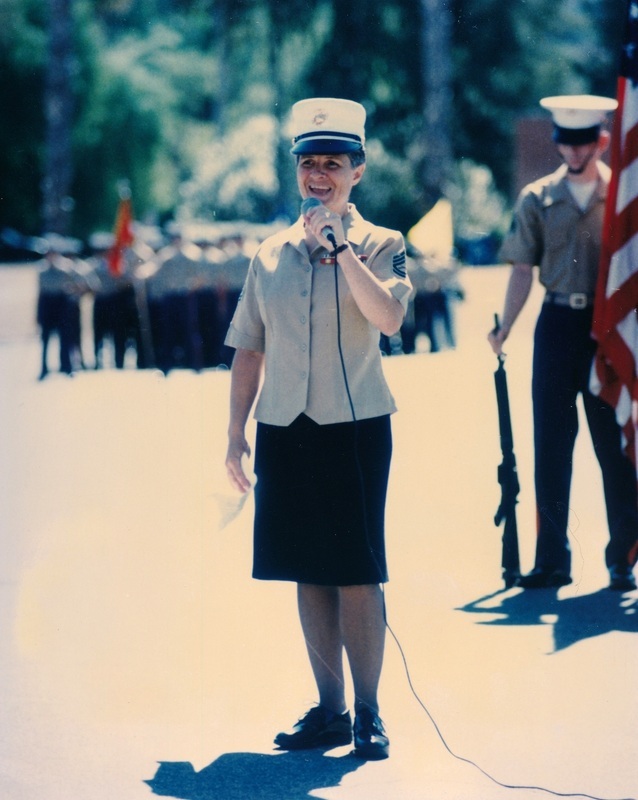 Vicky retired in September of 1995 at Camp Pendleton after honorably serving a 20 year Marine Corps career. The "Gunny" as she is affectionately called, traveled to 16 countries and finally set her duffel bag & boots down in San Diego, California. In 2003, Vicky gave up a stressful downtown job to open up her own pet care and dog walking business. She has always had a special connection with the animals. She's a natural when it comes to the behavior and training of canines. Similar to the Dog Whisperer, Vicky is known as the Dog Walker! The dogs seem to get Vicky and her them. Vicky has enjoyed dogs, cats and fish since she was s little girl. Her vast experience comes from years of rescuing her own dogs, working as a San Diego Humane Society Volunteer Animal Handler, Dog Walker/Dog Trainer and Assistant Adoption Counselor. Since 2003 Vicky has owned & operated her own canine care business; she has worked with a variety of pure bred and mixed breed dogs. Vicky constantly keeps her animal skills fresh by attending PSI professional development seminars, workshops and volunteering at the San Diego Humane Society. There's so much more to this woman: A 2x breast cancer & IBD/UC survivor & thriver, founder of the San Diego Lady Links Golf Club and her new found love, the ukulele. Vick could talk all day long to you about her love of life, nature, puppy dogs, Senior Softball, organics, health & nutrition. If you want to know anything about these topics, you've asked the right gal! Mr. Fred Adesso (SDHC), Diane Langley of (Paw Prints Pet Sitting), Victoria Stillwell "It's Me or the Dog", Cesar Milan "The Dog Whisperer"
Well, "That about sums it up!"